We’ve all seen her on TV on Food Network’s ‘Top Chef Masters’ and ‘Top Chef All-Stars’ and on the Taco Bell commercials with her exclusive menu called the Cantina Bell. Now you can own a new and innovative line of cookware that was designed by Chef Lorena Garcia with Joy Mangano, president of Ingenious Designs and HSN personality. The new cookware collection includes: cookware with the new and exclusive Technolon+, ceramic non-stick nano-technology; oven to tabletop serveware by Corningware®; smart accessories and more, all designed to help you make the most of your time in the kitchen while having fun. 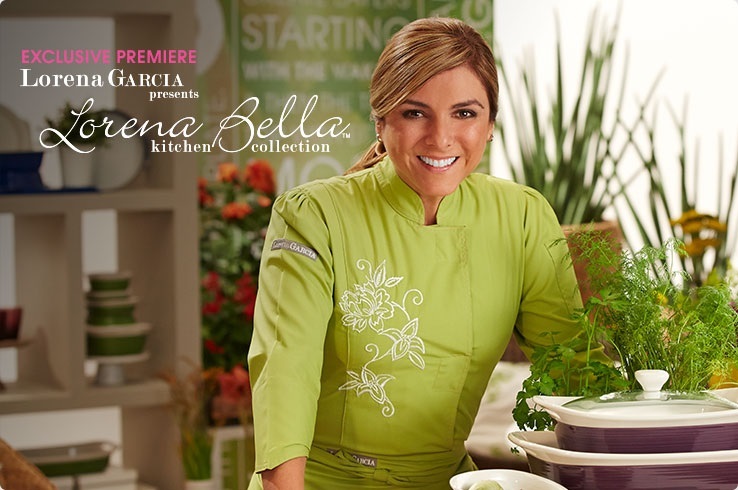 Called the Lorena Bella Kitchen Collection the cookware collection will be available on HSN beginning Nov. 14…just in time for Christmas!